Flatbush Family Practice (Brooklyn) - Book Appointment Online! 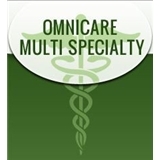 Omnicare offers a competitive edge based on position, timing, and quality of care available to patients. With after-hours care, weekend hours, quality time, and a pleasant staff, we pride ourselves on being Brooklyn's most trusted provider for family medicine, gynecology, podiatry, gastroenterology, urology, cardiology, and pain management services. Doctor was very late, due to a weather-related emergency at home, not his fault. As soon as he showed up, he saw me and was apologetic, courteous, professional, and provided me with care rapidly.